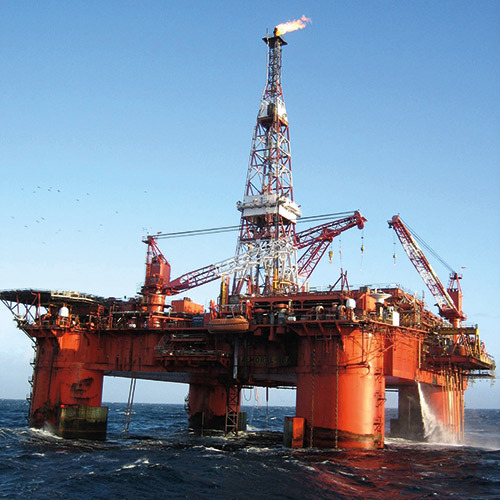 Drilling conditions are getting ever more challenging; with higher pressures and temperatures the need to safeguard topside operations and personnel has never been more important. With operating pressures of up to 15,000psi there need for a reliable way to shut off a well should control be lost and the last line of defence for this situation is a blow-out preventer (BOP). Subsea drilling is never a routine operation, rock formations can hide a multitude of hazards including pockets of high pressure gas, when a drilling string hits one of these pockets there can be a pressure spike that will unbalance the well and overcome the balance pressure from the drilling mud, this unbalancing, if left unchecked, can rise up the drill string and be expelled topside with potentially catastrophic consequences. The BOP stack is designed to arrest this pressure spike and keep it from progressing up the drill string by sealing off the well, this is done with a series of pipe rams, annular BOP’s and most importantly the shear and seal valve, shearing through the drill pipe and completely sealing off the well. As the shear and seal valve is a critical piece of safety equipment is paramount that it operates 100% of the time under all potential scenarios. Only when the well has been killed and balance has been restored with the use of ‘choke & kill’ lines, can the shear and seal valve be opened and the drilling operation resume. The Mudline Closure Device (MCD) operates in a similar manner to the shear and seal ram in a BOP stack but is classed as an independent piece of equipment that sits below the BOP stack and directly on the well head, with an independent operating system the BOP stack can be removed with the MCD still in situ should the need arise. Enovate’s 18-3/4” En-Tegrity has the capability to shear not only the hardest of drill pipes but associated tool joints and even casing.